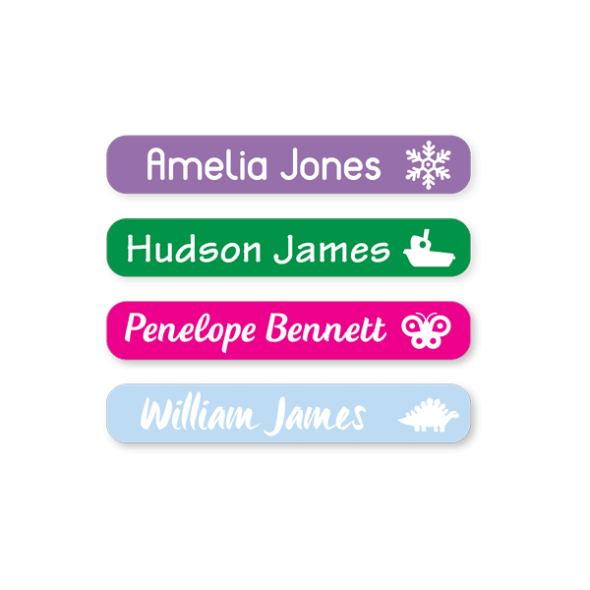 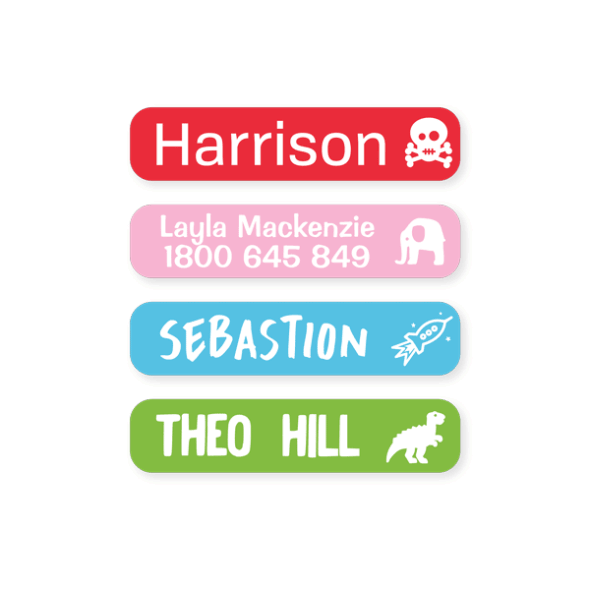 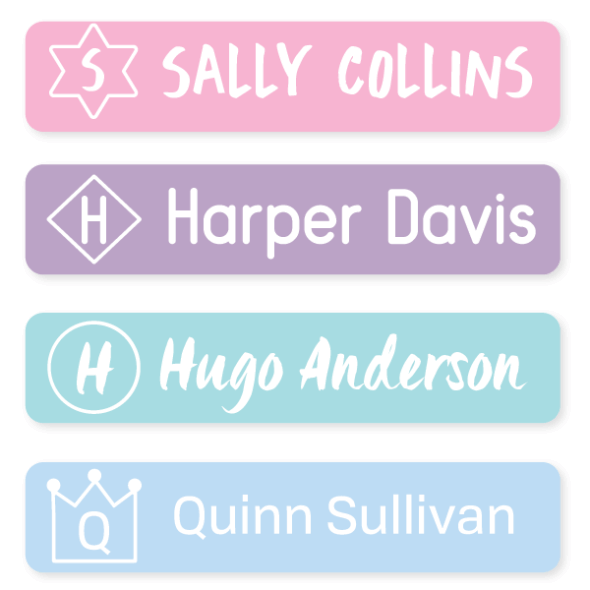 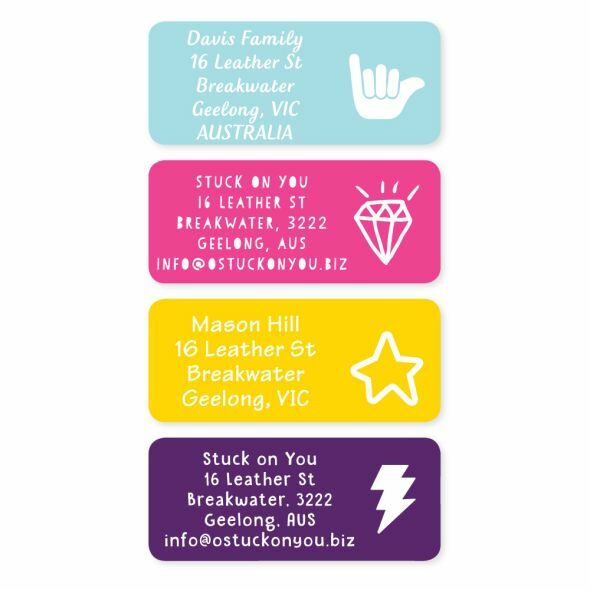 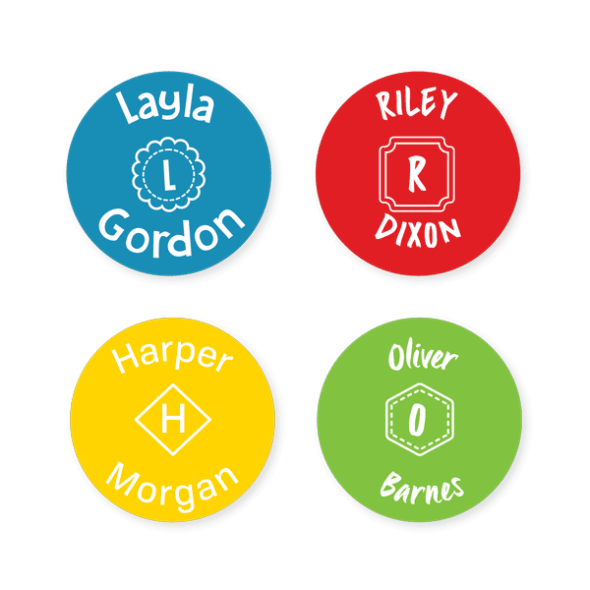 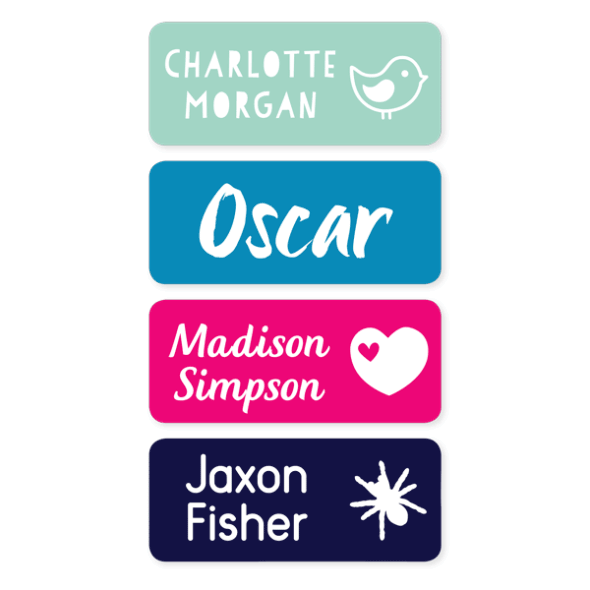 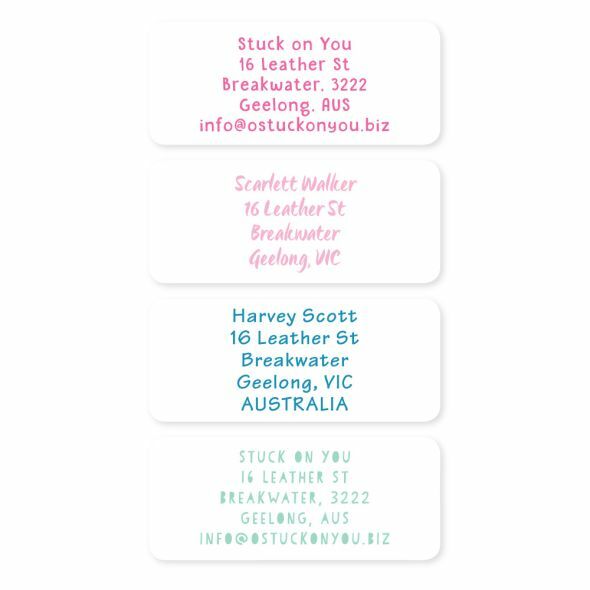 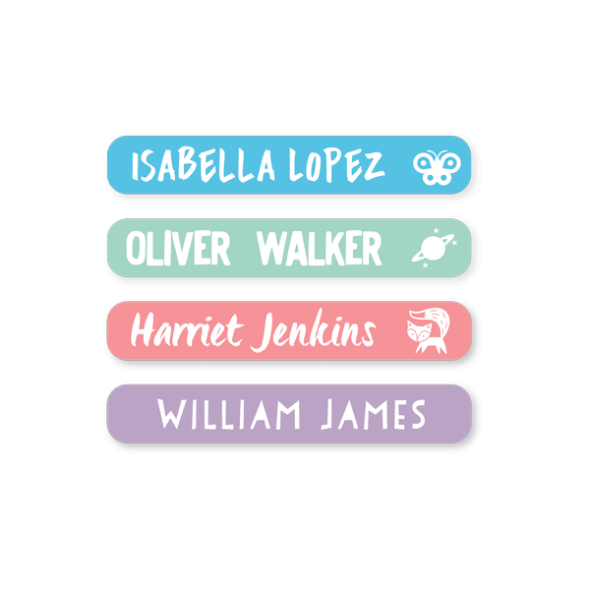 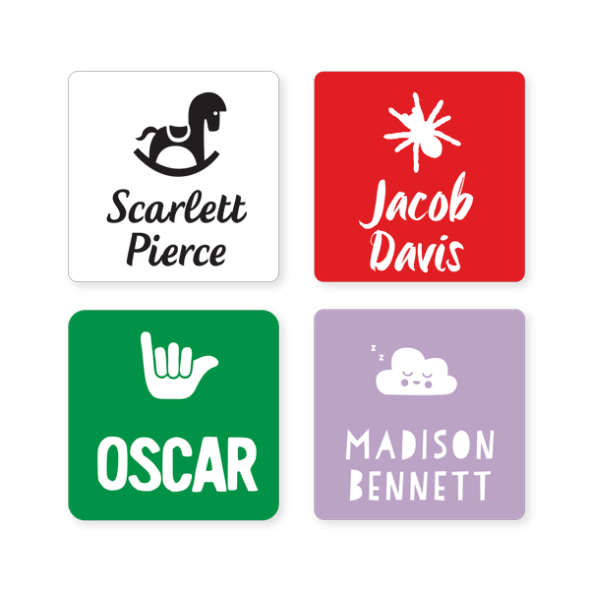 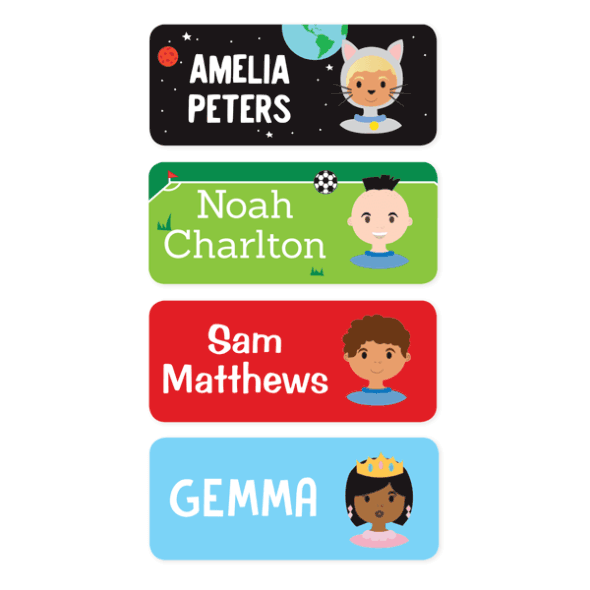 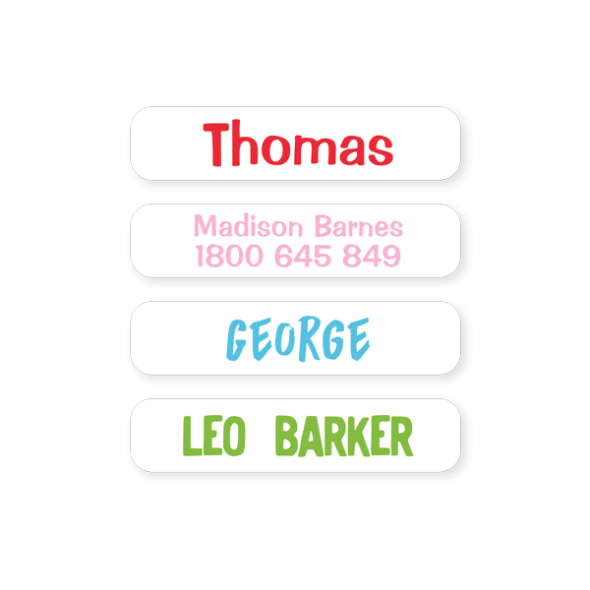 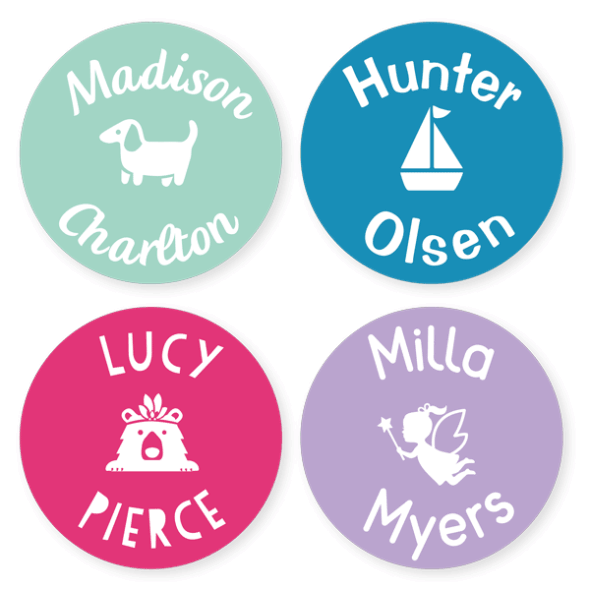 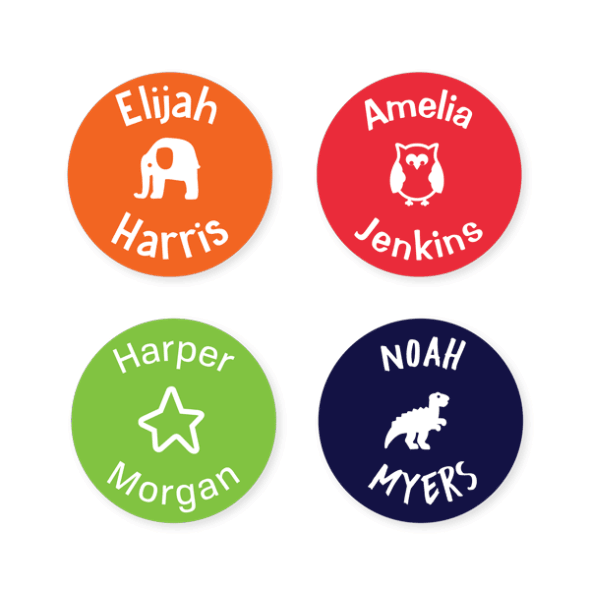 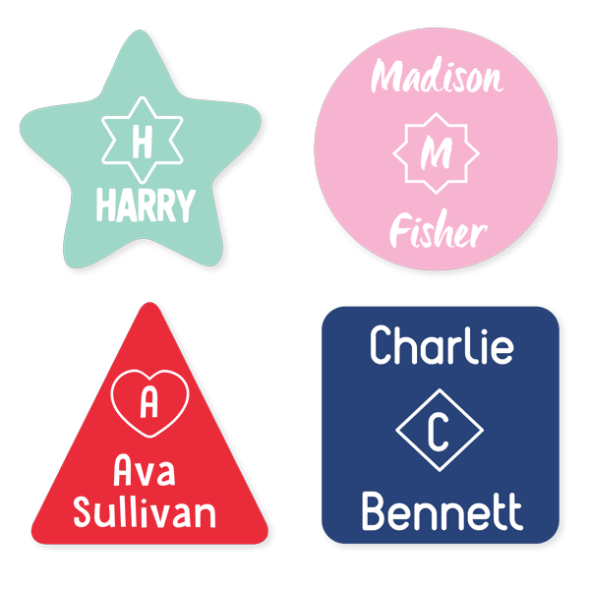 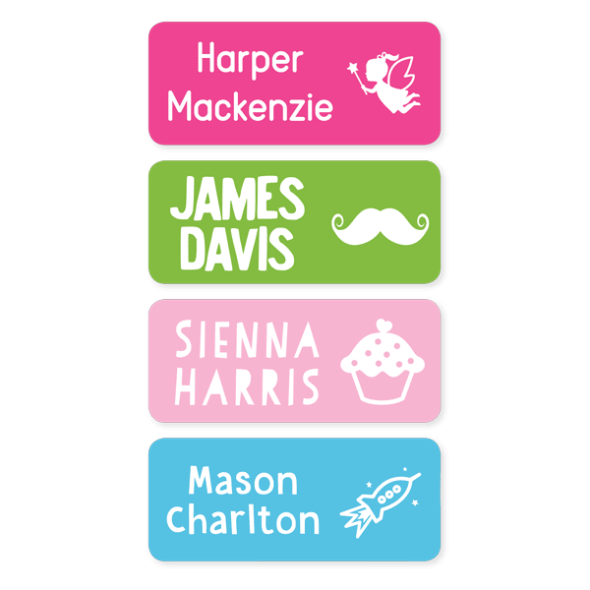 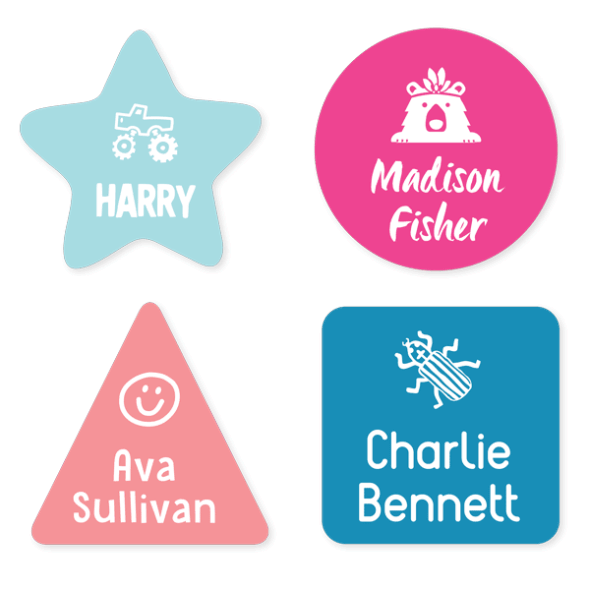 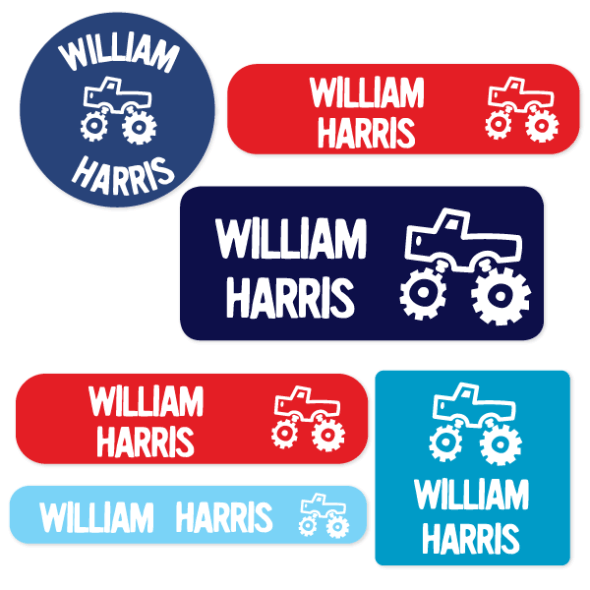 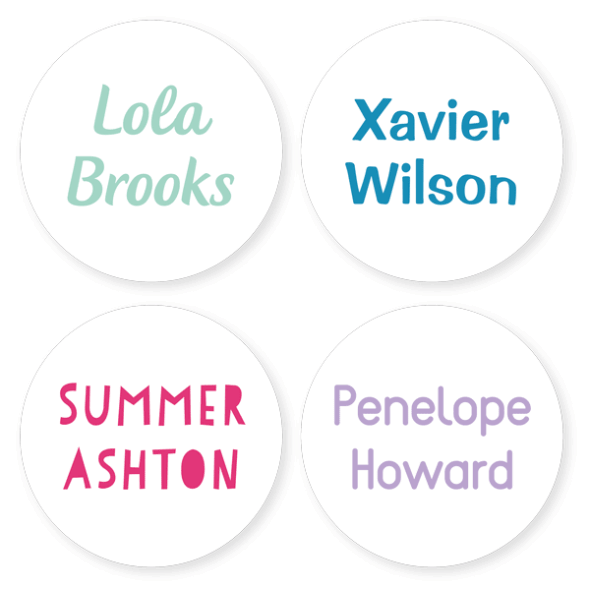 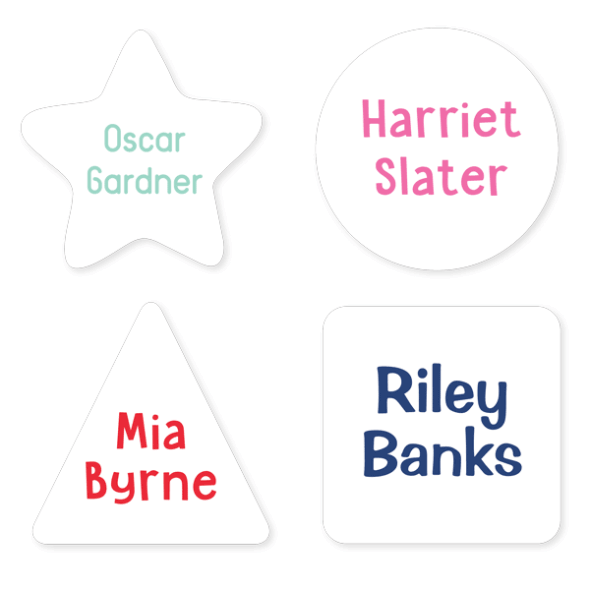 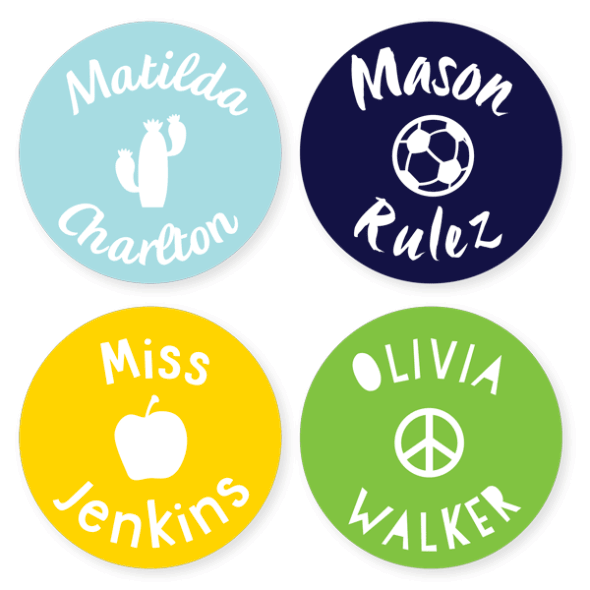 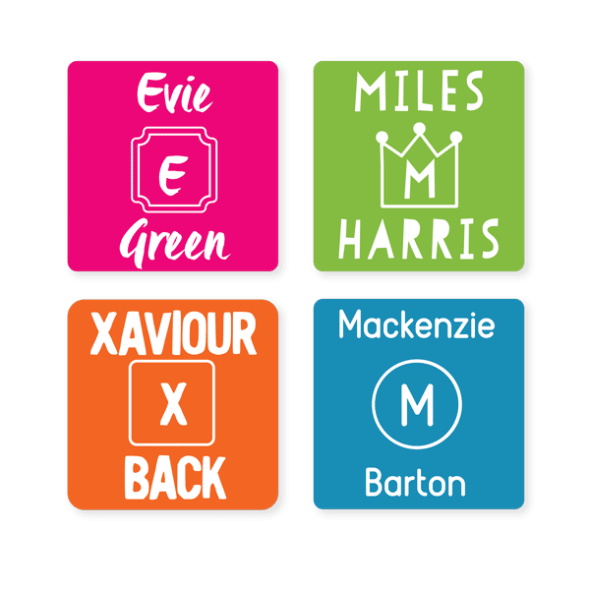 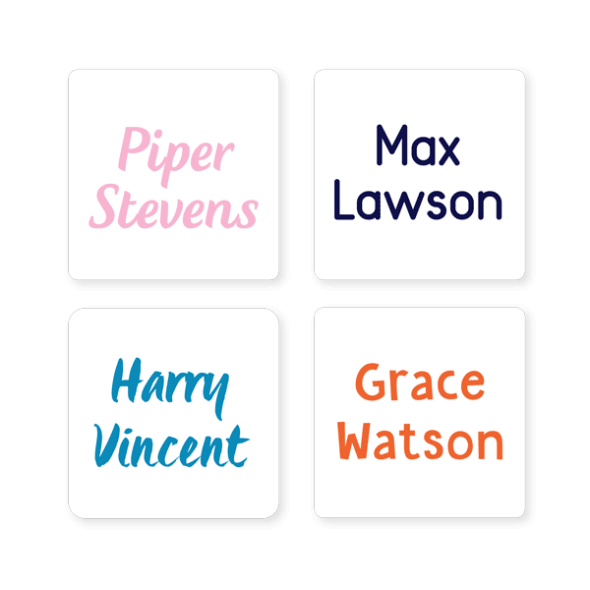 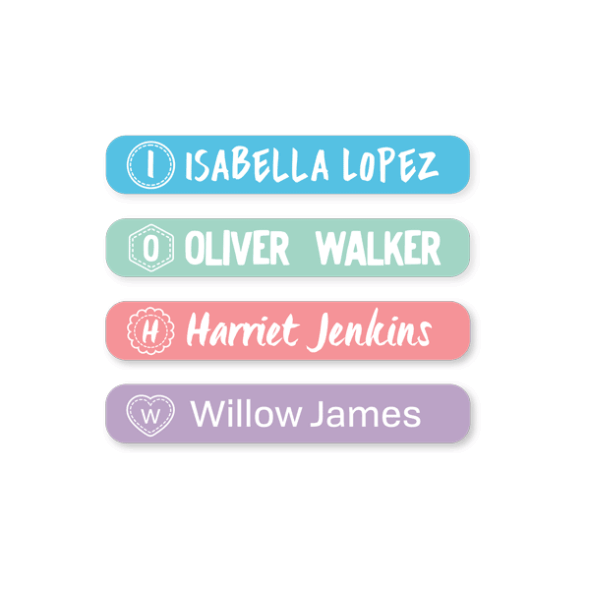 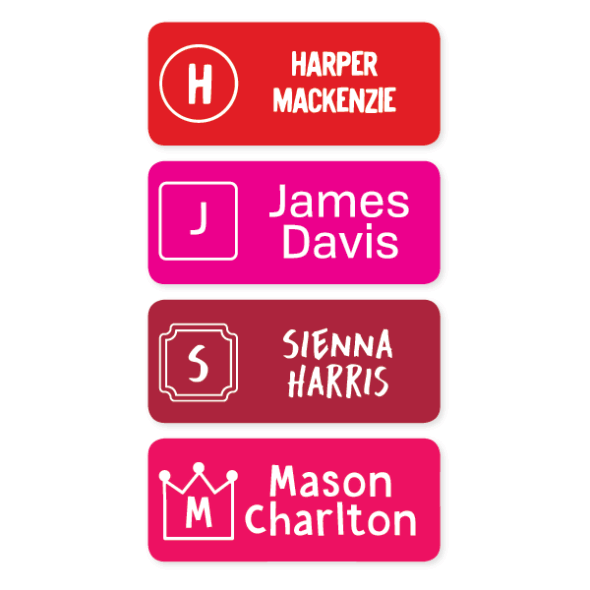 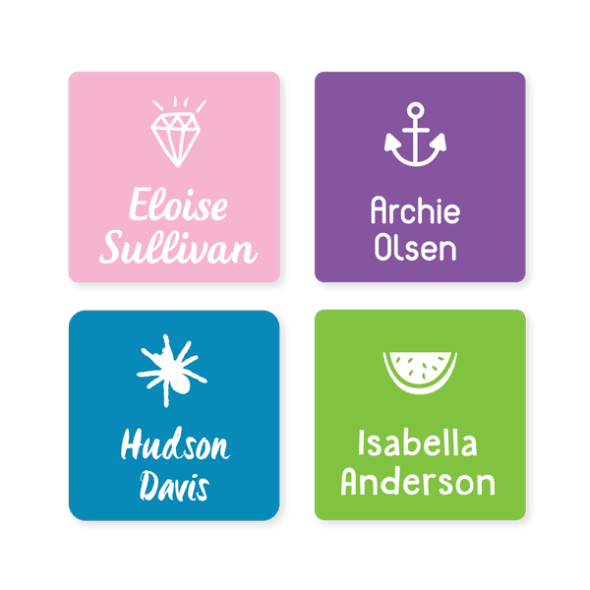 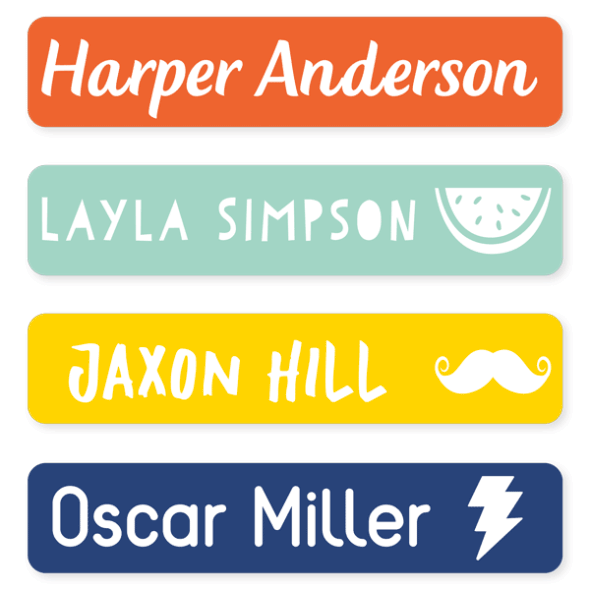 Personalised Labels for Toys, Containers, Stationery and... 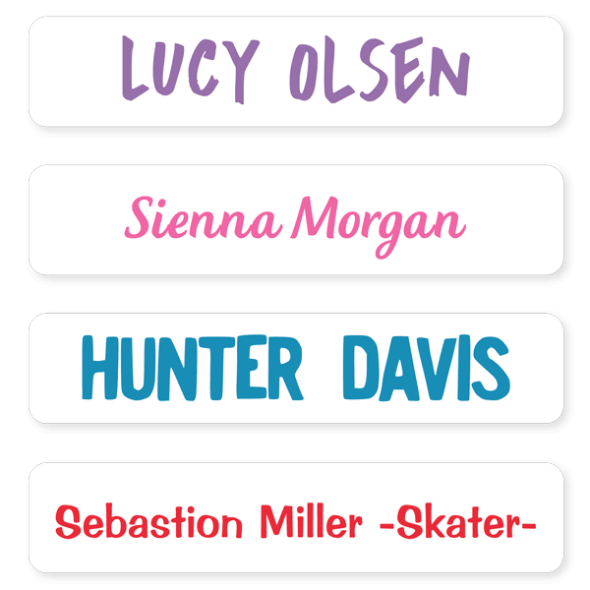 Anything Else You Can Think of! 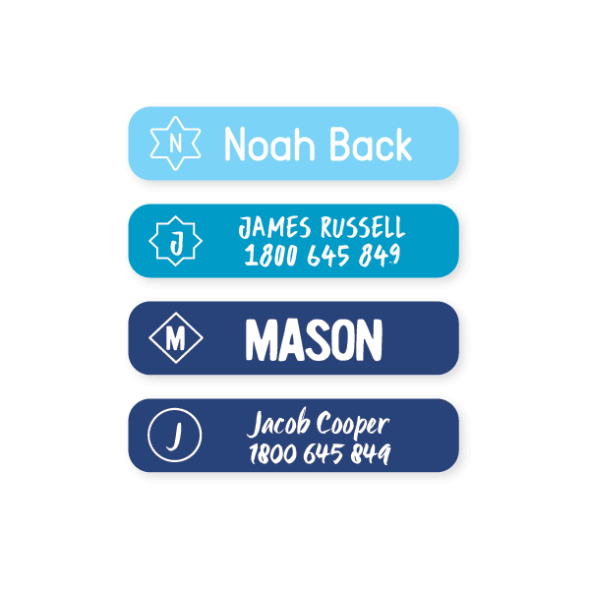 Our waterproof and scratchproof Multi-Use Labels live up to their name by sticking to just about anything you care to name, from hard surfaces (e.g. 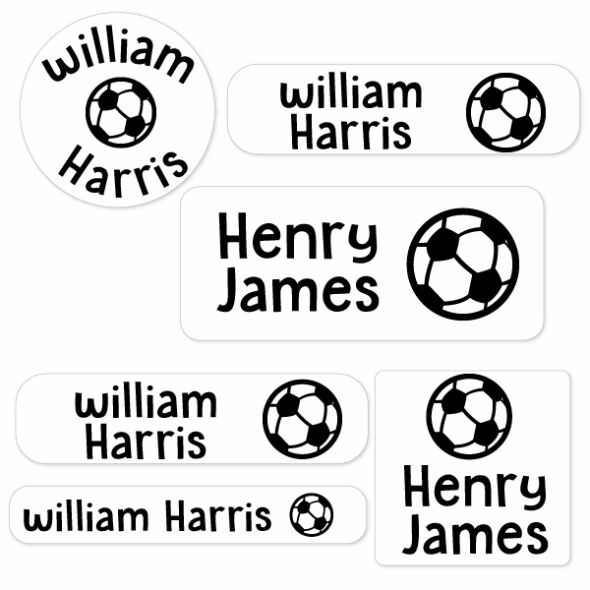 plastics, metal, cardboard, paper) to clothing fabrics. 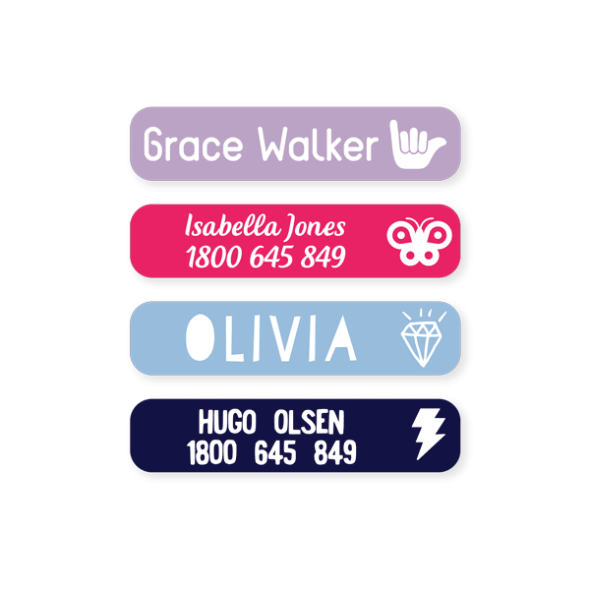 If you wish to use them as clothing labels, we recommend ironing them down for a longer-lasting, laundry safe solution.